Happy Sunday from Sunny, but Cold Texas!! It's actually suppose to be 61 today! We are having a crazy Winter this year. Some really cold and windy days and some warmer than usual days. How is it in your neck of the woods? 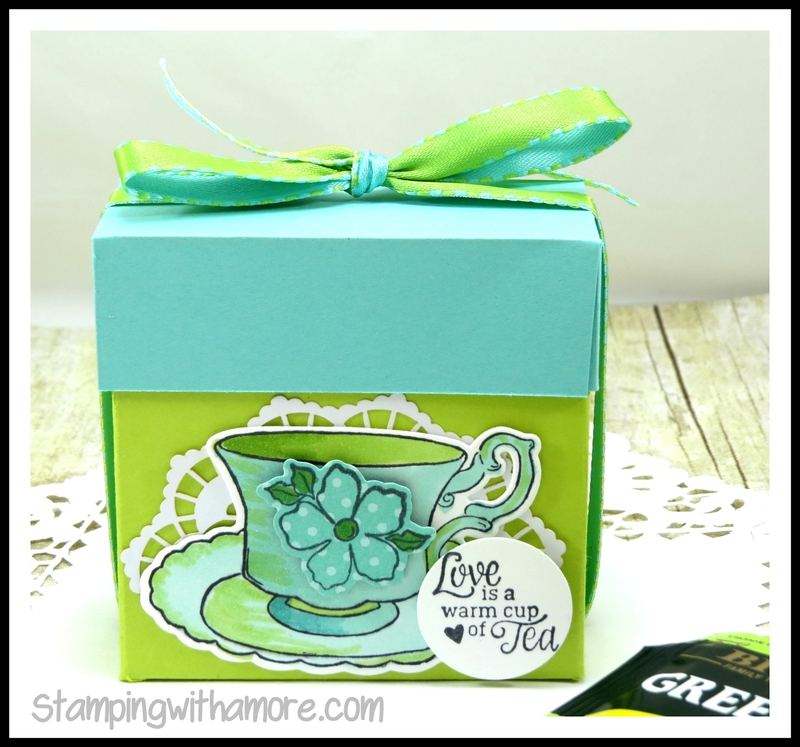 Today, I'm switching it up a bit, I'm sharing a cute Tea Box. 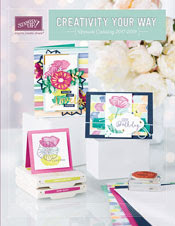 This Box was inspired by the New Coastal Cabana/ Granny Apple Green Ribbon we have in the Occasions catalog. I absolutely love this ribbon, I bought 2, and I never buy 2 of Ribbon unless I love it that much!! In this project I used Lemon Lime Twist for the Bottom of the Box, thinking it was Granny Apple Green, but as you can see it worked out. So if you have Lemon Lime Twist, Go for it! The Ribbon is gorgeous, Right? 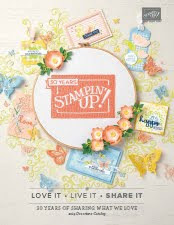 The Tea Together Stamp Set is so pretty, and if you spend $100.00 during Sale-a-bration, you get to choose the Framelits that coordinate for FREE! DOWNLOAD LET'S DO TEA TOGETHER TEA BOX PROJECT SHEET HERE! HAVE A BEAUTIFUL SUNDAY MY FRIENDS!